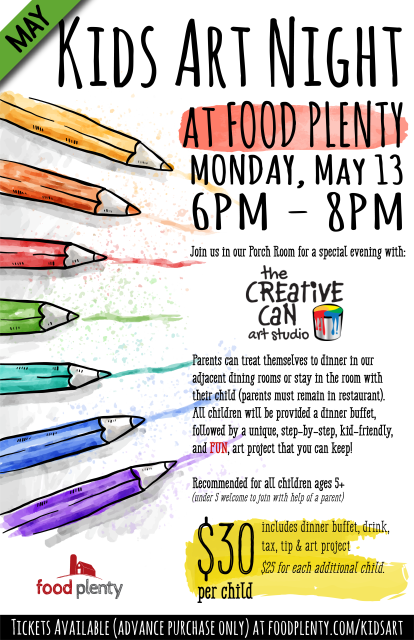 Join us for a special family-friendly evening with the Creative Can Art Studio. 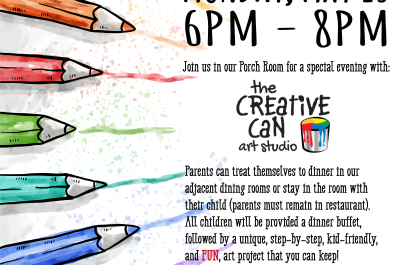 Parents can enjoy dinner at Food Plenty while their kids take part in a supervised art project in our Porch Room. Tickets available by advance purchase only!